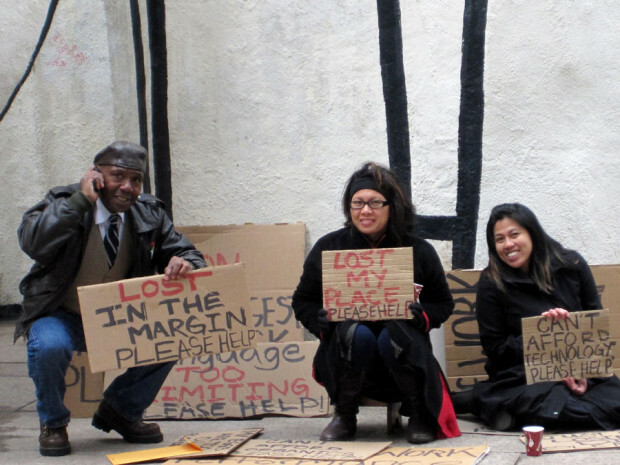 In Transience is a durational performance that aims to extend momentary encounters with the public through the platform of panhandling. 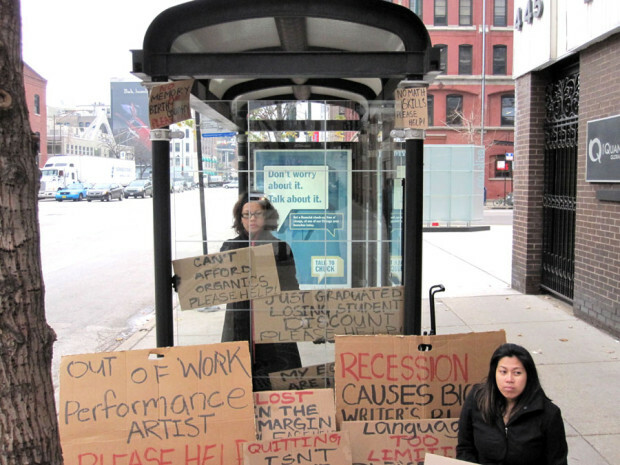 Performers, accompanied with cardboard signs and paper cups, were placed on sidewalks in areas with heavy foot traffic, specifically sites of public transit and tourism (i.e. 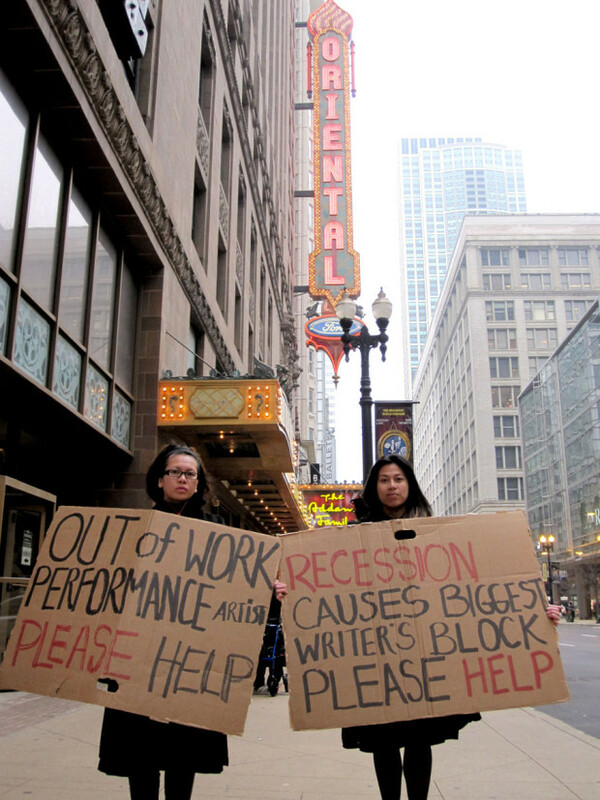 train stations, the downtown business district, municipal buildings, State Street shopping district, The Art Institute of Chicago, etc.). 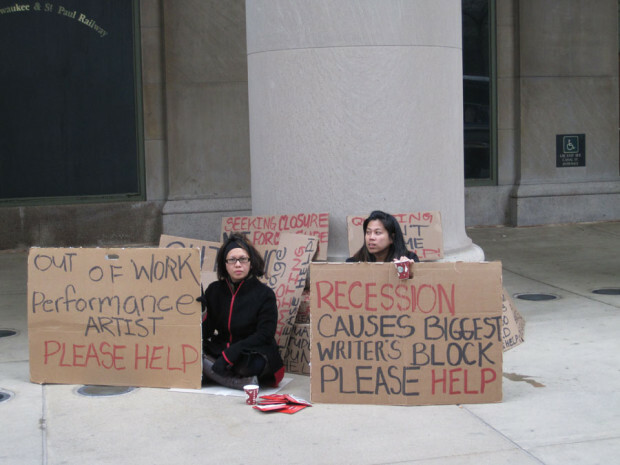 The performance embodies the labor of panhandling as performers move from site to site over the course of an 8-hour work day. 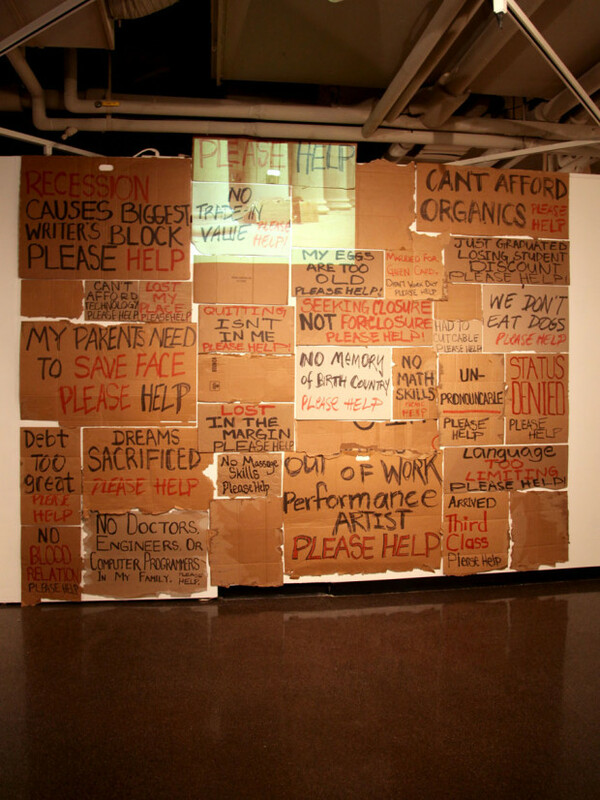 Using cardboard signs, performers subvert the public’s expectations and assumptions of panhandling by confronting onlookers and passersby with a voice that speaks to identity, place, and marginality. 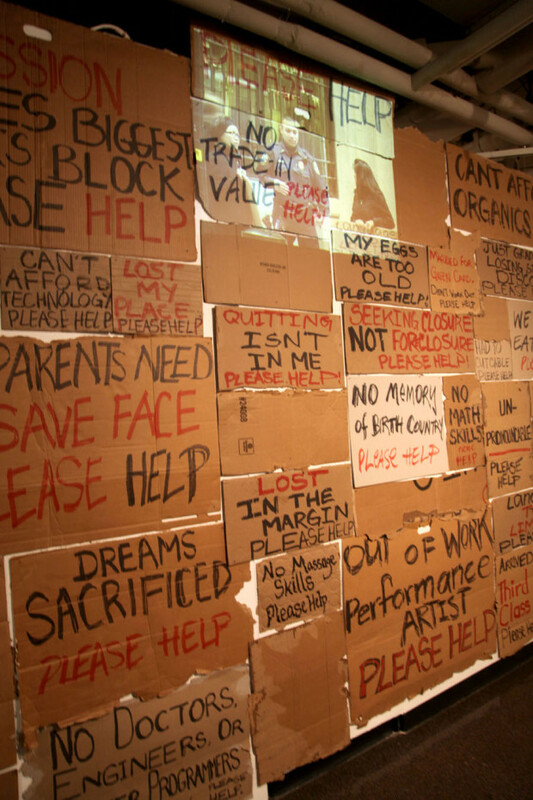 In Transience is a performative gesture asking the public to re-examine their assumptions about need/provision, home/homelessness, and issues of visibility. 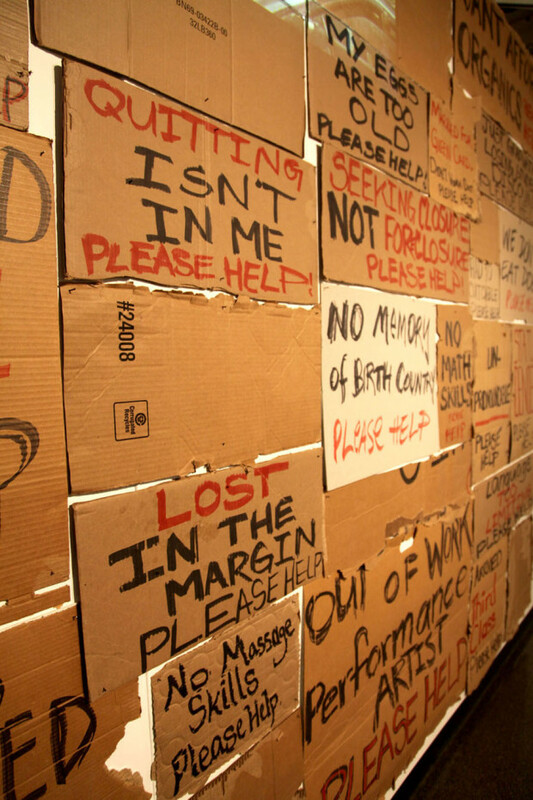 The final installation for In Transience consists of cardboard signs used in the performance as well as a video projection of footage from an 8-hour durational performance.